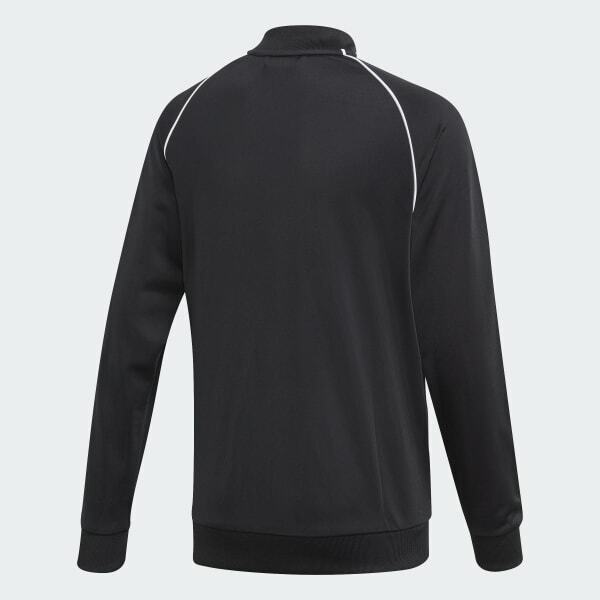 A track jacket made from recycled fibers. A classic sports look that shows off authentic adidas Originals style. 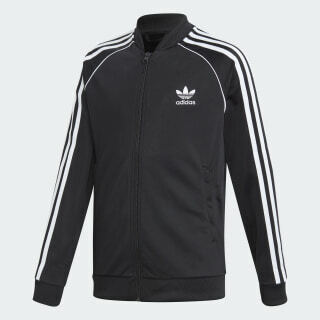 This juniors' track jacket has iconic details like a ribbed stand-up collar and contrast 3-Stripes on the sleeves. For a modern touch, the tricot fabric is made with recycled polyester fibers.